Welcome to Grosvenor Builders, a reputable family run building company that has been established for over 30 years. 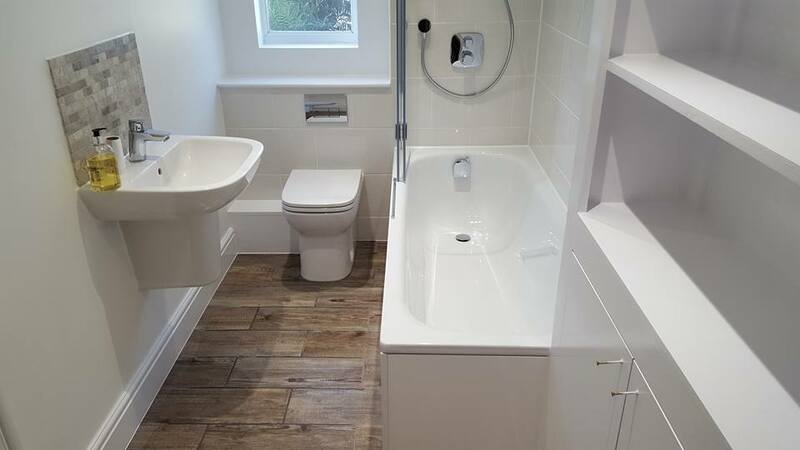 Located in North London, we specialise in all types of building work and are happy to provide a free estimate for any building project you may be interested in undertaking. If you click on our ‘Testimonials’ page you will see we have many satisfied customers. Many would happily show you the completed works and even talk to you about the work and progression from start to finish. 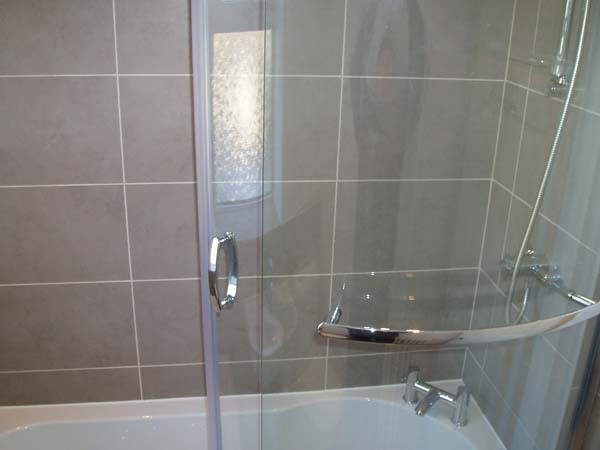 At Grosvenor Builders, we pride ourselves on quality workmanship and competitive prices. 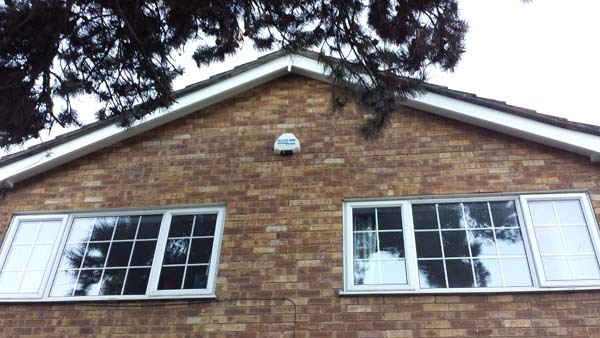 To put your mind at ease, we have obtained all the necessary insurances and have a Public liability cover. 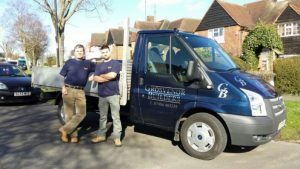 Grosvenor Builders is registered with Which Trusted Trader and Checkatrade member. This is a sign of the high quality of work and attention to detail that we provide on every one of our jobs. If you would like a free estimate, have any questions or would like further information, please visit our Contact Us page. 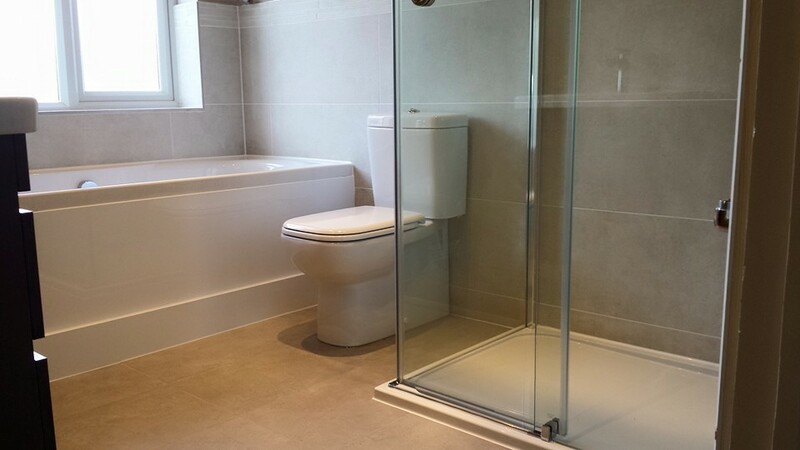 “Grosvenor Builders have worked for me and my friends for the last 7 years. I wouldn’t use anyone else”. dirt and completed the work within a day, as expected. They cleaned up thoroughly when they were done. All that was left was for me to wait for the new plaster to dry and then paint it. Very pleased! 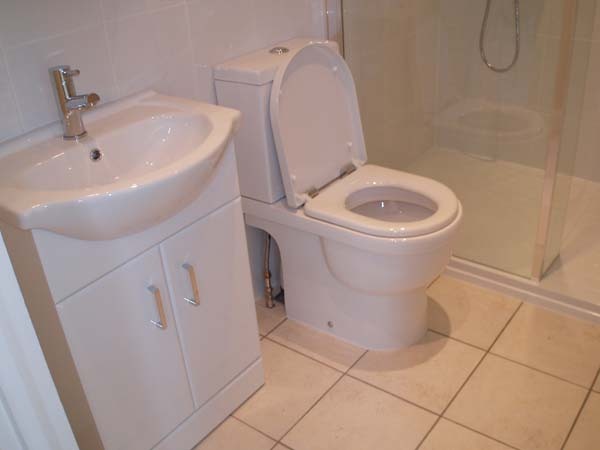 I have no hesitation in recommending Grosvenor Builders, in fact I am delighted to. about by unforeseen circumstances and new decisions by us, with patience, professionalism and a ‘can do’ attitude. admires our apartment about them. installing the appliances, handling the various plumbing requirements and putting down a tiled floor. airbricks so the problem wouldn’t arise again. Every evening they would tidy up and leave us with access to mains water. my stairs, to sort out my gutters and to inspect my roof (which, I was glad to hear, didn’t need to be fixed). painless. What more can I say? and have been very pleased with the results. After reading the reviews here I decided to contact Grosvenor Builders. I was contacted promptly and a time agreed for Fred Sims to meet me to discuss the work. installed next to the new shed. Fred duly arrived on time and a few days later let me have the quote. We agreed a start date and time. On the day James and Dan arrived with Fred on time and commenced work. (they don’t drink Tea or coffee) and at the end of the day they departed returning the next day at 8.00am. 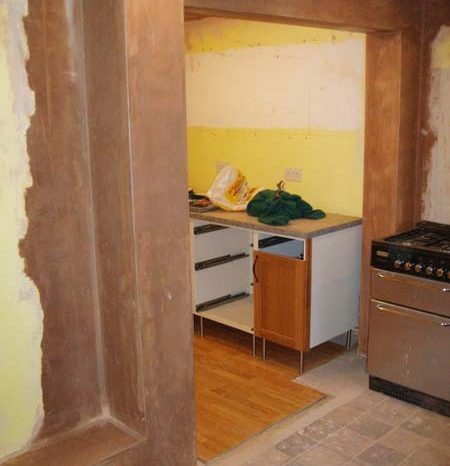 We used Grosvenor Builders to take down a structural wall and put in an RSJ. 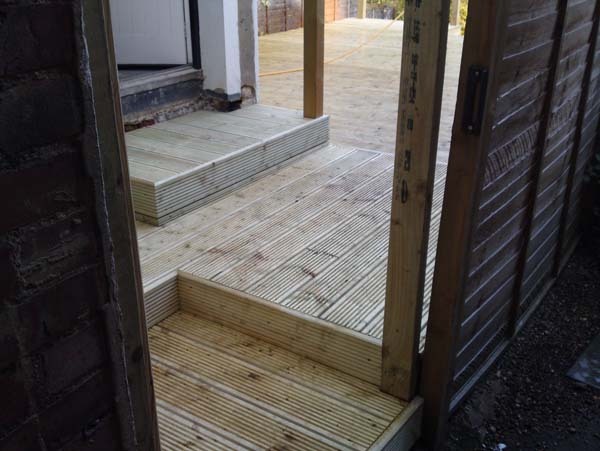 Mr Sims had kept in touch regarding start date, and the team of three arrived on site exactly on time – as arranged. They worked efficiently; thoroughly cleaning up each day and kept dust to a minimum by sealing doors. the jobs properly. 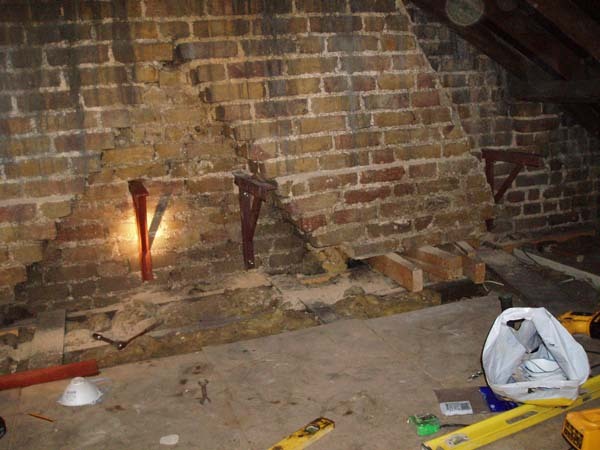 I had some smaller work done inside the house first – plastering and rebuilding a wall. a long time (hacking back and re-pebbledashing large parts of the outside of the house). 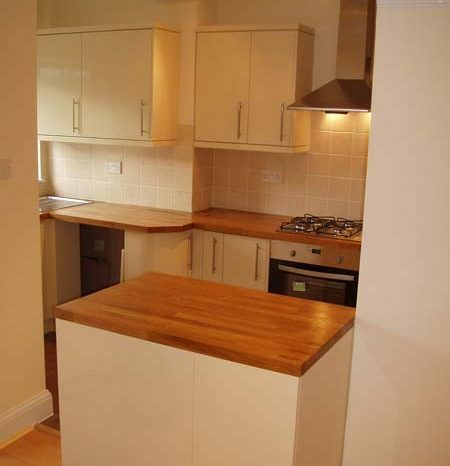 build alcove cupboards & shelving, lay new wood floor throughout downstairs and build decking & seating outside. up but always knocked on door to check we were awake at 7.25am every morning for 2.5wks so no lie ins allowed! workmanship & talked us through each day’s work every morning asking lots of questions. 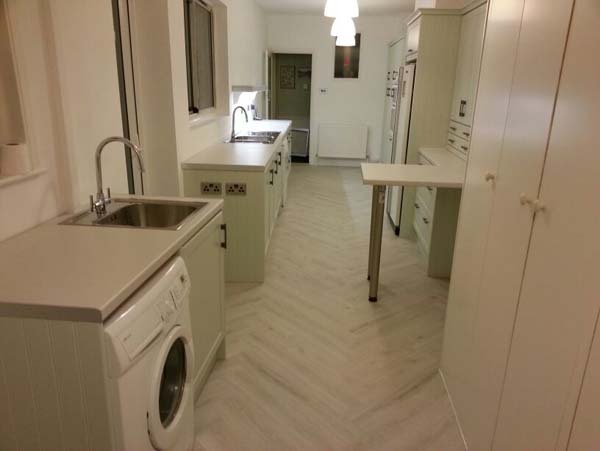 Mr Fred Sims and his team of workers completely gutted and refurbished our kitchen to a high standard. replacing a door lock, wall cupboard and new ceiling lights in kitchen, and to replace a water pump to bath. We had a good experience with courteous workers who cleaned up and turned up at the appointed times. I suspect that they can tackle most jobs in the house and they are worth contacting. 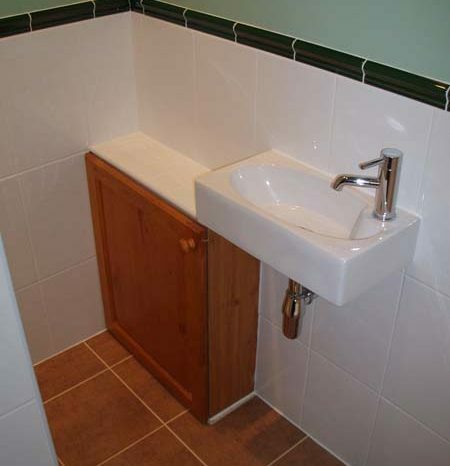 We used Grosvenor to renovate our bathroom. The company is run by Fred, who is very easy going and conscientious. but would definite use him again. asked of him with the addition of one or two small extras! We’d certainly use him again. We used Grosvenor builders to convert our garage into a living room. We would definitely recommend them. 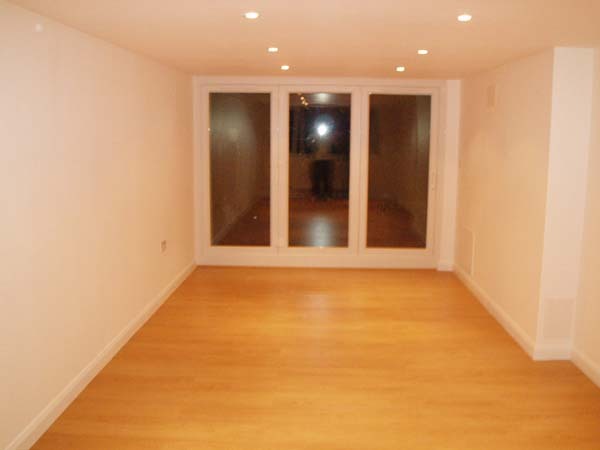 Fred, Dan and James were very professional; they were always punctual and tidy with their work. 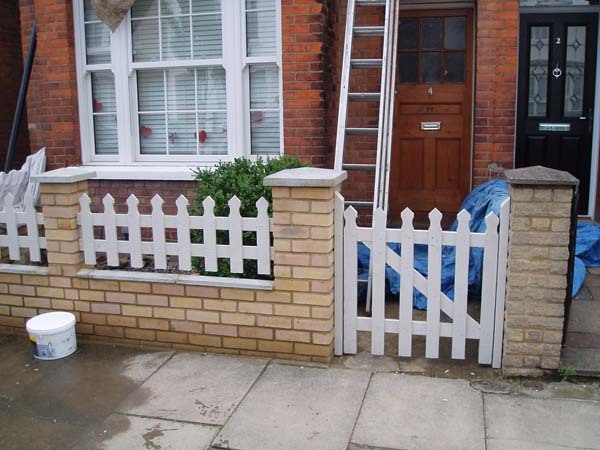 The standard of their work is very good and we were very pleased and would use them again. 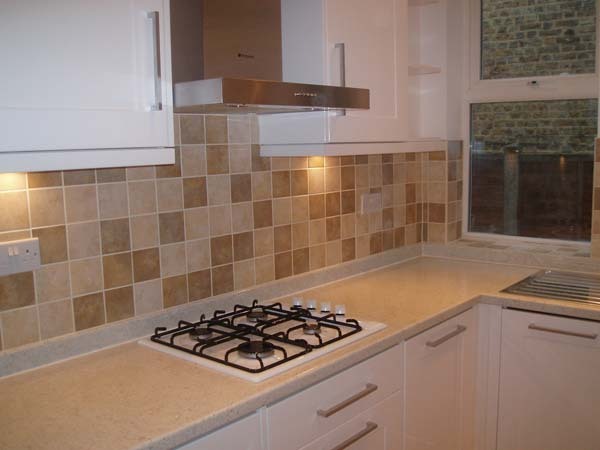 We recently used Grosvenor Builders to build a one storey rear kitchen extension. Fred, Daniel James and Jay were very professional. They were always punctual, tidy and did their best to please me.